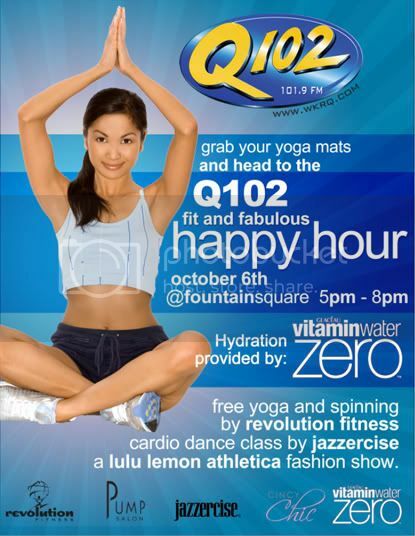 Cincy Chic is working with Vitamin Water to host a fun event on Fountain Square tomorrow. It’ll be a “Fit + Fabulous” Happy Hour, featuring fun ways to get fit and new fitness fashions from Lululemon Athletica (which will open in Cincy soon!) Check out the flyer below for more info!